Another day, another amazing beauty brand found through Instagram. 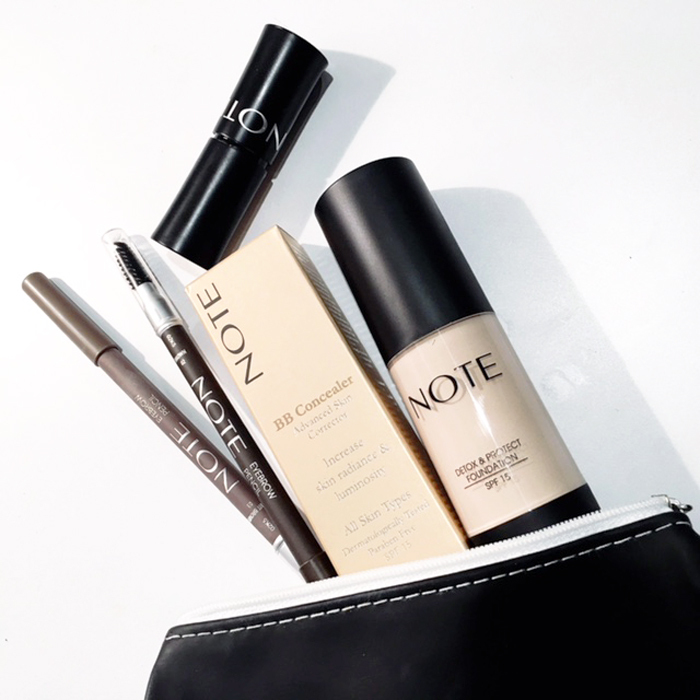 NOTE Cosmetics is a global lux makeup line that aims to bring back NOTE-aceable beauty. They make products to help you highlight and capture your individual beauty – and embrace the ART of beauty without compromise. Their formulations are unparalleled in texture and color payoff and best of all, their prices don’t break the bank. At the heart of the line are rich-pigment shades in ultra fine milled powders that are blendable and effortlessly come to life on skin. Developed by leading European chemists in their own state of the art manufacturing facilities, the formulas are infused with globally sourced botanical ingredients that enrich the quality of the cosmetics enabling them to offer true skincare benefits. While ALL of the products are paraben-free, environmentally friendly, dermatologically tested, and not tested on animals, there are a few products that surpass their quality claims and deliver noticeable long-lasting results. Perfect for colder weather, their Luminous Moisturizing Foundation with SPF 15 evens your skintone while balancing your moisture levels for all day coverage. Botanicals and natural ingredients add anti-aging and antioxidant properties. Also ideal for winter is their Full Coverage Stick Concealer which offers a creamy, natural coverage that hides those pesky dark circles while Argan Oil and Soy Protein help protect the eye area against free radicals and environmental aggressors like chilly temps and wind. To complete a natural, long-wear look that stands up to seasonal changes use the brand’s Double-Sided Eyebrow Pencil. At under $10, this pencil is a steal! It gently glides over brows with a matte velvety texture that’s waterproof and doesn’t cake so you can face a rainy day without fear of nudging and smudging.